A-Treat soda, now in vintage glass bottles, comes in several flavors. Allentown soda company A-Treat has brought back vintage glass soda bottles similar to those its customers sipped from 100 years ago. The thick glass bottles were brought out as a nod to the history of the company, which began in 1918. A-Treat was acquired in 2015 by entrepreneur David Jaindl, who wanted to preserve the company's legacy and who now produces soda using recipes created by founders Joseph and Jack Egizio. The 12-ounce bottles, sold in packs of four, are available in black cherry, draft-style birch beer, old-fashioned sarsaparilla, and frosty cream. Made with cane sugar, the colorful drinks have a light taste, and are less sweet and not as fizzy as many mass-produced sodas. 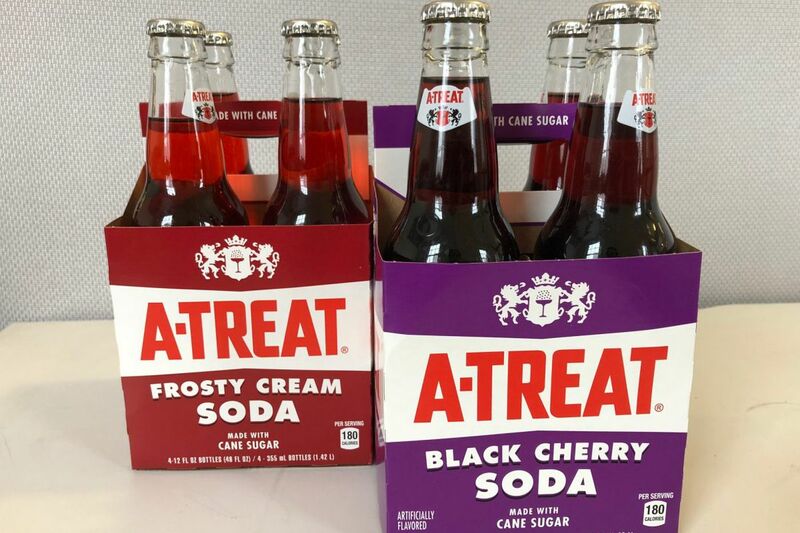 A-Treat sodas also come in other flavors that are packaged in plastic bottles and cans. A-Treat soda, $3.99 for a four-pack at grocery stores, beverage distributors, and convenience stores. To find a location, visit a-treat.com/store-locator.